Does every media company board need an ex-Liberal politician? What is it about Australia’s media company boards and former conservative pollies? It seems that, in Australia, every board needs to have at least one. Nine has the Howard government’s former treasurer, Peter Costello, as board chair. 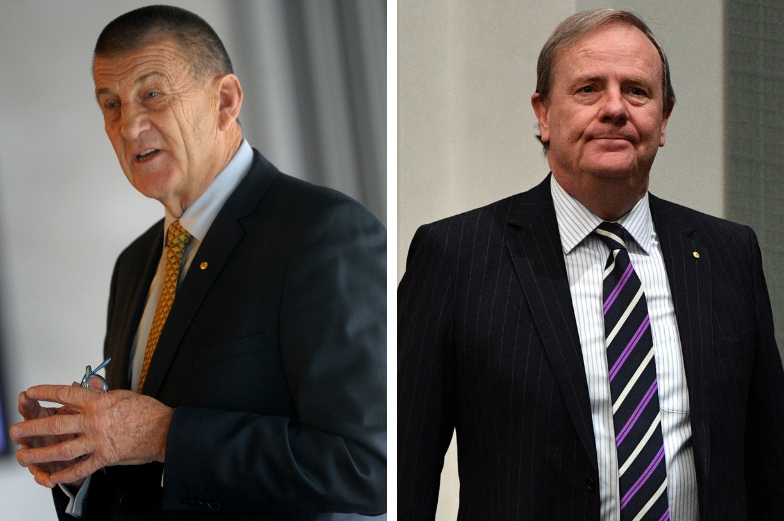 Seven West Media has former Victorian Liberal premier Jeff Kennett as a board member. And News Corp has not one, but two -- former New Hampshire Republican senator Kelly Ayotte and former Spanish prime minister José María Aznar. Kevin Rudd is still yet to sack his first public servant but there are plenty of people voluntarily falling on swords and many more looking over their shoulders, writes Stephen Mayne. We’ve all had some chuckles about Crikey’s little disclosures at the end of my recent political stories, such as this one on Wednesday: "Crikey: Against all our advice, Stephen Mayne is running as an independent candidate in the seat of Higgins." Crikey's cut out & keep Not-the-Cup Sweepstakes. Liberal federal Cabinet ministers, backbenchers and hard-heads in the Liberal Party organisation were dismayed and annoyed by the pathetic performance of Treasurer Peter Costello in yesterday's live debate with Labor’s shadow treasurer Wayne Swan, writes Alex Mitchell.